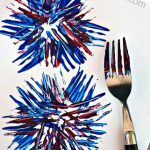 Have the kids make Porcupine Art With A Fork and see how easy it is. This technique can be used for a number of different animals like lions. Using a #10 flat brush, paint vertical stripes on the canvas (leaving part of the canvas exposed) by alternating Soft Jade and Chick. 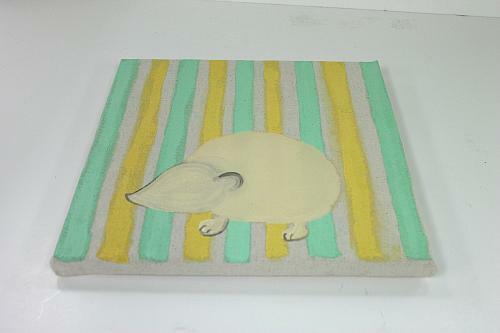 Using a #10 flat brush, start painting the porcupine's body in Almond. Using a #8 round brush, paint the head, ears, and feet in Almond. Use the #8 round brush with Bittersweet to outline the face, ears, and feet and then to blend the outline with Battleship. Using a #8 round brush, paint a thin stripe in the middle of the stripes, Neon Yellow over Chick and Neon Green over Soft Jade. Using a #8 round brush, paint the eyes, nose, and highlight the face, ears, and feet in Bittersweet. Use a plastic fork to slide Bittersweet to make the porcupine's needles. Using a plastic fork, continue adding quills to porcupine in Neon Orange and Bittersweet. Use a #8 round brush and Bittersweet to paint the eyes and nose and to loosely outline the face, ear, and feet. 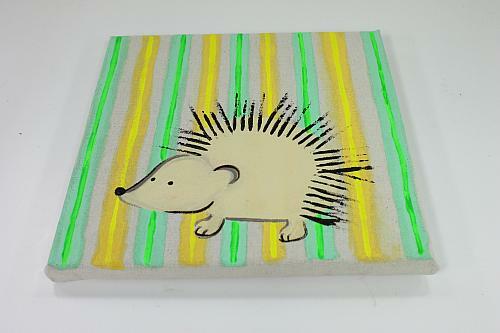 Use a #10 flat brush and Bittersweet to paint the sides and dry-brush the perimeter of the canvas. 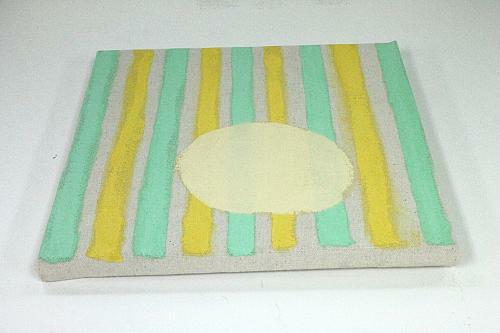 Optional: Glue ribbon in a complementary color to the canvas sides and bottom with craft glue. 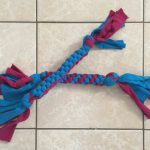 An extra length of ribbon can also be used as a hanger.